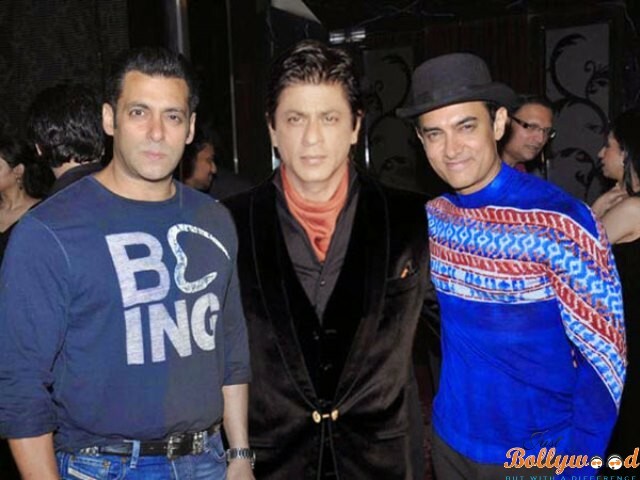 Is All The Khans coming Together in any B Town Film? We know how the three Khans are ruling the Bollywood industry for not less than two decades. However, the trio has never come together in any other film. In fact, they are rarely seen together in any event forget about doing any movie together. But the tables are turning, now the B Town lovers can get their dream come true when we saw Salman posting a message about the same on his Facebook Page, which says, yes the news is true about the three Khans coming in a film but guess what you have a twist in it. He further said unleashing the veil behind this news saying that it’s not the original Khans who are coming together in the show but their duplicates would be coming together. They would be coming together in a film titled Aamir, Salman and Shah Rukh having the title Raju Rahikwar and Devashish Gosh. In fact Salman has shared one video about the same, which you can find in his Facebook page.